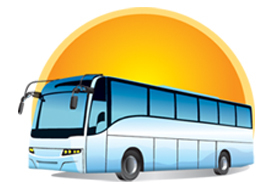 Sydney Bus Hire is one of the leading bus hire services which is available to anyone who wishes to hire a bus. There are Hire services available in Sydney, Perth, Brisbane to ensure that whoever is in Australia’s should not miss out on any such service. Since Australia is such a popular destination because of various attractive destinations like Marrickville, Terry Hills, Killara along with many other destinations in the leading country. There are many options when it comes to hiring a drive which includes mini bus, coach and bus. The Bus Hire Sydney will be at service to move around Sydney airport, North Shore, Macquarie, Inner West etc. These buses are available for travel to outside the regions which include Hunter Valley, Blue Mountains, Perisher Valley, Port Stephens, Canberra, Wollongong, Newcastle etc. What are the choices available Mini Bus Hire Sydney? There are large fleet offers are available to hire and that too at highly attractive rates. One gets affordable prices for Mini Bus Hire Sydney to luxury coach hire. Mini Bus Hire Sydney: If you are looking for the mini bus at an affordable price for your next transfer then you must not look any further. The transport service offers a wide range of service in mini bus hire. Here we believe that no job is too small or no job is too big which allow us to cater to different requirements and demands of the customers. The Mini Bus For Hire With Driver Sydney is capable of taking small journeys, mini shuttles and can be prepared for easy interstate transfers. The major attraction is the safety as it is the top priority when it comes to services. One can expect comfortable transfers for many different requirements. The mini bus is highly suitable for corporate bus transfers, school and college outings or expeditions, functions and events, tourism, bus party etc. The charges that you will pay will be in accordance to the services rendered. You might hire the mini bus for short trips or can pick the luxury mini bus for a long journey you will receive a 5-star service along with prorated rates. Since the services are clearly designed it is focused that one pays for the services that they enjoy. The mini buses are suitable for various different occasions and that is the reason they are highly popular. This does not mean that the service will be denied as there is enough mini bus available and the process is followed in a manner that it allows effective management of the bookings. If you are a small group that just requires a transfer to the airport or a large group that wants to get to the blue mountains there is nothing that is left out. These mini bus are highly useful for special events and important occasions. Your best friends bachelorette, important birthday celebrations, Close marriage party everything will get the right bus service. Our dedicated team will make sure that the bus reaches you on time and the whole team goes on smoothly. The drivers who are put to service are highly trained. They are well versed with the local areas and localities so they make sure that the guests reach the desired destinations on time and avoiding rush hours. They know the best routes and how to avoid traffic delays. The drivers are also trained to reach the pick-up destinations at least 10 minutes early so that the guests do not have to wait. There is a choice that the customers can make as each such mini bus has 12-25 seats. 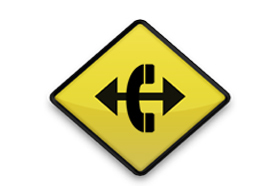 The drivers can be reached directly using direct contact numbers and there is always the management which will have all the required information. When you are looking for your mini bus hire Sydney booking the something that is available 24X7 is the online platform. This platform allows you to send a query anytime you wish and also check out the details of the booking already made. You can monitor the booking from anywhere. The requests and the confirmations can be made from any location. You can be assured that all the information and details that are shared and exchanged on the account are protected and confidentiality is valued by the service. When you want to hire a Cheap Bus Hire Sydney for your special travel then there is no need to look any further. There is no business which is considered too small by the service and that is the reason many different options under the charter bus hire are available. This service is available for small as well as long routes. The special occasions should not be compromised in the absence of proper travel options. The budget bus is available for various different occasions to be it parties, birthday celebrations, marriages etc. The drivers which undertake these services are well versed with the city and that is the reason why they can actually get the passenger to the places in the desired time. They also understand the condition of the roads along with the rush hours so they will pick the right route to the destination. They are a popular option for traveller all year round. Just by simply logging in the users can actually go ahead and get access to the whole booking details. And all these things are highly protected and treated with confidentiality. 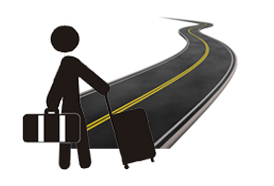 The transfers should be done hassle free and that is the aim of the service provider. The idea of the service is to provide full support to the customers and hence there is a full coach hire along with the support of the driver which is provided. There is no job which is considered small and thus the luxury vehicles are provided for short as well as long journeys. All the coaches provide first-class facilities to the customers. They are also highly environmentally friendly and are fully air-conditioned. There are also DVD and P.A system included in all these luxury vans. These Luxury buses might sound too expensive but the customers can be assured that they will pay only for the services that they enjoy and nothing more. They can use these vehicles for short airport transfer or the ride all along the country. They are suitable for various occasions and the group can pick the choice of destinations that they wish to visit. The bookings can be done using the account created and the manager will ensure that everything goes on smoothly. The team will be happy to assist the customers with anything related to their bookings. This is to make sure that the trip goes as planned and the transfers are fully taken care off. The drivers which are given the duty are well-versed with the booking details and they are trained to provide good service. They are also well aware of the local traffic conditions and road conditions which mean that there will not be any delays. The drivers are also trained to reach the pick-up locations on time. This means that they will be there at least 10 minutes early so that the trip goes on smoothly. If there are any concerns or the customers are looking for their booking details then they should check their account online which will have all the required information for them. The Luxury bus hire will be a good option for all special occasions when one does not want to compromise with the transfers. When can you get the bus hire? There are easy payment options designed for customers. The most convenient way is using the online payment methods that include the use of credit card, Master Card, Visa Cards, Amex Cards etc. If that is not how you wish to make the payment you can opt for direct account payments. If there are any specific payment preference of the traveller then they can be motivated to make a call or send an email out so that assistance can be provided as soon as possible. What is the support available in case of an emergency? One can easily write to us on the email. The response will be made as soon as possible. There is every effort made to ensure that all the urgent enquires are prioritized. If there are any concerns or issues which falls outside the office working hours then one can directly call the driver for quick assistance. The office staff and drivers are experienced and trained to handle any difficult situation. They will be more than happy to assist you in every situation. We are dedicated to providing high quality, specialized transportation to our customers while maintaining a positive, cultural atmosphere that truly appreciates our employees. We specialise in Professional transportations services. Our vehicle can accommodate 8, 12, 22 and 42 people and can take you anywhere in Sydney. Where you go is completely up to you. fill the form on Contact Us page.